The Mosque built by Tabip Kemal Ahi Celebi in 1480-1500. 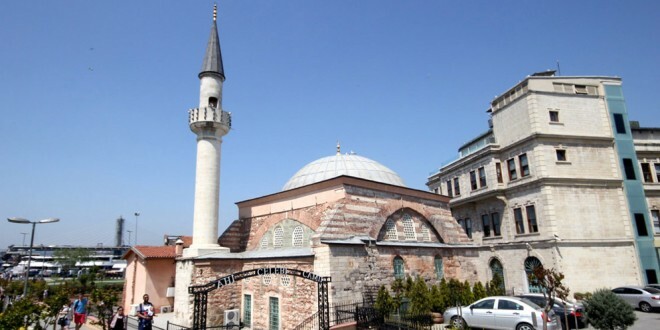 It is also known as Kanli Firin Masjid and Yemişçiler Mosque According to Tezkiretü’l Ebniye, Ahi Celebi Mosque is accepted as one of Mimar Sinan’s Works. It is rumored that Evliya Celebi saw the Prophet in a dream and he mistakenly asked for travel (seyahat instead of intercession (Sefaat). The place seen in that dream is Ahi Celebi Mosque.